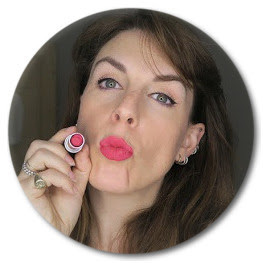 Friday Video - Not actually make-up related. It's another pram video... sorry. Will be back to the make-up next week! As I've got older (8 years older since starting this blog!) I've tried to get more positive. I keep negative reviews to a minimum and no longer feel the need to rant about celebrities in quite the same way. Well all that's on hold for the moment. This isn't a rant but I'm just a bit surprised and disapproving of the announcement that Millie Mackinstosh is the new face of Nip + Fab. I love the Nip + Fab products I've tried and when I get asked to recommend anything that's remotely firming or toning I always suggest trying the Nip + Fab products because I think they are the only ones that remotely work and they are not that ridiculously priced. Indeed they are creation of Maria Hatzistefanis (who also created Rodial) as the premium skincare range that everyone can use. More expensive than a lot of things but still in Boots and at manageable prices. So I think having someone who has some quite extreme views about weight, dieting and body image is a bit of a disappointment for a brand I felt were really doing something different. Make-up and beauty is a popular topic for teens and any in the know or who have heard of Rodial will know that Nip + Fab is from the same stable and frankly if I had a teenage daughter I would be doing everything in my power to explain to her why she should not want to be like Millie Mackintosh. I don't watch Made in Chelsea, I'm sure she's a very nice person (I love Prof. Green so I trust his taste in women) but thigh-gaps, Instagram pictures to show weight-loss and this aspiration to be as thin as possible terrifies me. Yes, yes I know she works out and eats healthily but the continuing pictures of her weight-loss progress. Admirable in one who started off with a lot of weight to lose, anxious-making when the before pics start to look nicer than the after. Also surely MM has no need for the body products, there's no flesh left on her? I think even if you are passionate about something there are always certain aspects of it that you are not into. I'm passionate about make-up and beauty but I'm just not into tanning. I do use fake tan but the only one I have ever found that I like is St Tropez Gradual Tan Mousse and I don't buy anything else. I've tried others, don't like 'em, stick with what works. This lack of interest also means that I'm not that good at applying it. Sometimes it looks great, sometimes it's a bit streaky and sometimes I have the dreaded orange patches on my feet (only when I want to wear revealing shoes though obvs). I know I'm not the only one. My sister phoned me a couple of weeks ago for advice on a fake tan disaster (used a spray two nights before a wedding, looked like a tiger) and I wish I'd had the Bronze Buffer to lend her. I can't really see why everyone who ever uses fake tan doesn't have this. You never have to worry about streaks or orange patches ever again. This little star shaped buffer when wet, removes streaks, patches, tones down colour, and removes build up. It fits between fingers and toes and when it's dry removes deodorant from clothes. I wasn't that optimistic as I gazed down at my orange feet, I assumed I'd have to scrub loads or it would in-fact remove all the fake tan scrub by scrub but a tiny bit of light rubbing and everything was evened out and looking incredibly natural. If I can use it anyone can. It's small enough to fit easily into your make-up or washbag to take on holiday and they last a really long time. The only down side to this is they feel like sponge and I hate the feel of sponge but I know I'm in a minority here. It's £10 for two sponges from Beauty Mart (one for home, one for in your washbag) and it will take away all fake tan anxiety. 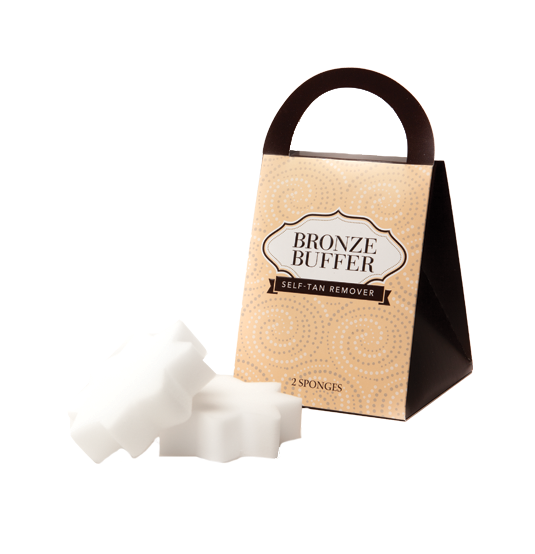 Hurrah for the Bronze Buffer - if you use fake tan then get this.